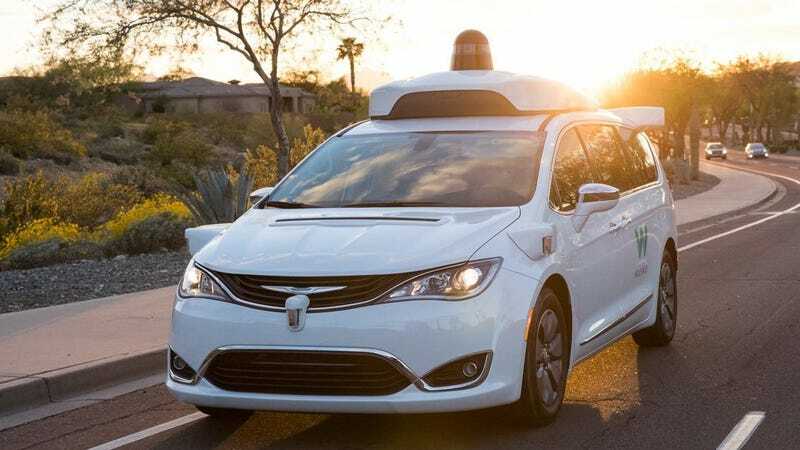 A Chrysler Pacifica test car outfitted with technology from Google’s self-driving car unit Waymo crashed into a median back in June after the operator meant to be monitoring the system in the driver’s seat reportedly fell asleep and inadvertently disabled the self-driving system, The Information reports. The crash occurred on a freeway in Mountain View, California, not far from Waymo’s self-driving headquarters. Sources who claim to have seen video of the car claim the human driver appeared to doze off after about an hour on the road. Others familiar with the incident’s details claim the self-driving system was turned off after the driver’s foot hit the gas pedal. The driver failed to respond to warnings to take control of the wheel and didn’t acknowledged the alerts that the self-driving mode was disengaged, and the car drove into the highway median. Luckily, nobody was injured in the crash, and the driver was able to return the Pacifica to headquarters with damage to a wheel and the front bumper. The Information also reported in August that Waymo’s self-driving cars often struggle with even basic, everyday driving maneuvers including stopping in intersections during turns, holding at stop signs for over three seconds, and merging into heavy traffic. Waymo’s June crash followed a much more severe self-driving crash back in March, where a pedestrian was struck and killed by a self-driving Volvo XC90 operated by Uber’s self-driving unit in Tempe, Arizona, while the human driver watched a television show on her phone. The crash caused Uber to considerably scale back its self-driving program, shutting down its Arizona operation completely. It’s unclear if Waymo disabled the Chrysler Pacifica’s standard safety features, which includes a forward collision warning and emergency braking system, but Uber had disabled the car’s standard safety features on the XC90 involved in the Arizona crash, presumably to avoid conflict with its own systems. In both the Uber and Waymo incidents, the companies had recently scaled down from two self-driving car operators monitoring the car’s driving to just one, making it increasingly likely that the human driver could become distracted or fall asleep and fail to adequately control the vehicle in the event of the self-driving system being deactivated or failing. In neither case did the car actively monitor the driver’s awareness. The Information also reports that someone expressed concerns over contracted drivers being on the road too long in a meeting following the June crash, who was told that drivers are free to stop whenever they feel the need. Of course, being in a contracted position, drivers may be hesitant to take breaks, though Waymo claims it does not judge individual drivers on average mileage. The driver who fell asleep at the wheel and caused the June crash no longer works for Waymo, the report claims. Jalopnik has reached out to Waymo and we’ll let you know if we hear anything. Considering Waymo is trying to roll-out a self-driving car-sharing service in Arizona later this year, skipping the gradual increase of semi-autonomous technologies employed by most other automakers. This incident doesn’t make me confident that Waymo has worked out redundancies in having human operators remain alert and aware to take over, should things go even slightly wrong.